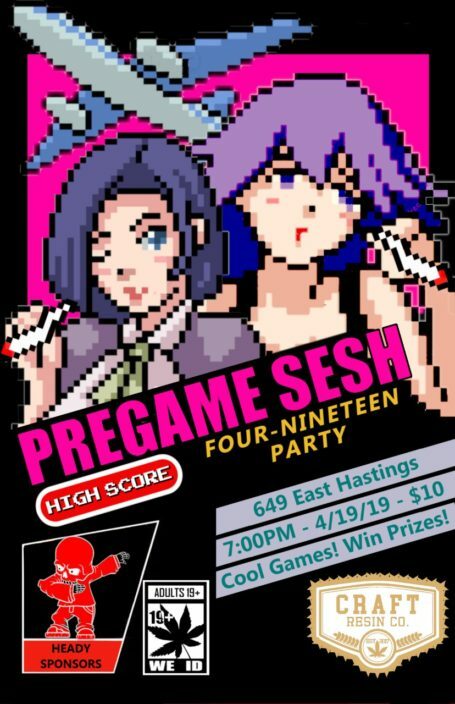 Get your 4/20 pregame on and play head-to-head in games (it’s a surprise which ones!) to earn tickets to trade in for something rad on our redemption prize table. Collect by yourself or pool your tickets together and get something really cool. The fun starts at 7pm but jump in anytime! Once again, heady sponsors Craft Resin Co. are coming by to say high for the evening.